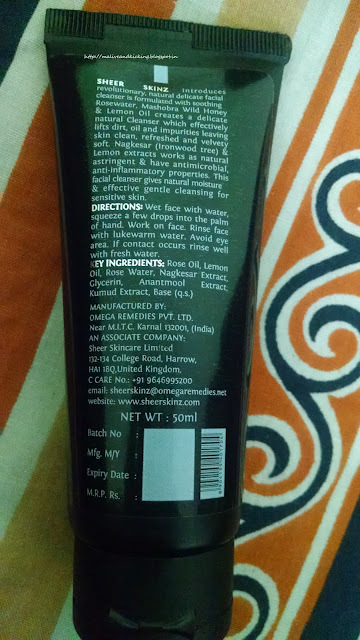 Writing today to introduce a pure and natural skincare brand Sheer Skinz that takes pride in making products made exclusively from the purest ingredients: cold-pressed oils, herbal essences and extracts from fruits, vegetables and nuts with pure essential oils to leave your skin supple, soft, smooth and glowing. Sheer Skinz traditional skin care brand, a pioneer in the Luxury Ayurvedic segment, today has become the secrets of ancient beauty rituals for Facial Care, Body Care, Hair Care and Wellness category. Each Sheer Skinz product uses traditional methods in its making and adheres to the highest standards of purity, authenticity and quality to create – Luxurious Ayurveda. Sheer Skinz is committed to excellence, with its line of pure, fresh seasonal products and experiential treatments. I got a lovely combo consisting of two variants of their natural face cleansers i.e. MASHOBRA WILD HONEY, LEMON & ROSE WATER (priced at Rs. 95 for 50 ml). 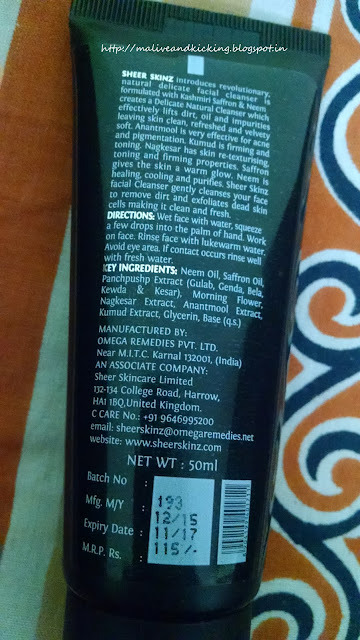 The facewashes have similar packaging in soft black tube. The only difference is the variant details printed on either sides. The flip open cap on the tube makes it easy to take the product out. Also the tubes are quite light weight and easily portable. Both the facewashes have soothing fragrance. The Mashobra Wild Honey, Lemon & Rose Water cleanser has a mixed scent with prominent rose fragrance, whereas the Kashmiri Saffron & Neem cleanser has slightly wild scent that gives a kick. The fragrances persists for good hours and makes you feel fresh. I liked both the facewashes from this aspect. 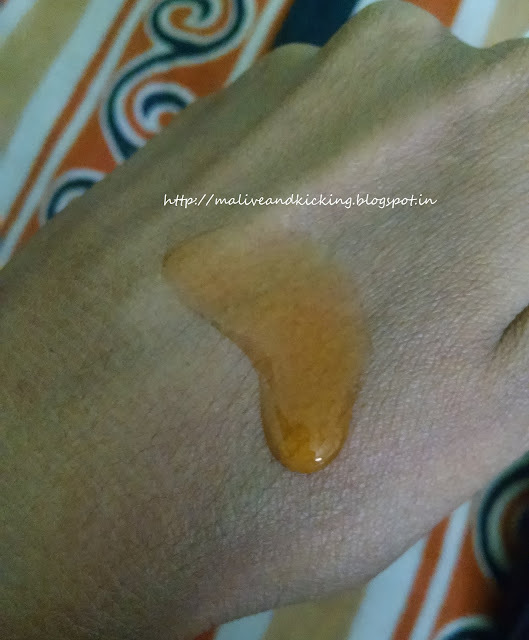 The Mashobra Wild Honey Lemon & Rose Water cleanser is light orange in color and the other one is extremely pale yellow that hardly shows up color on your hand. The liquidity and runny consistency is also same for both the cleansers. 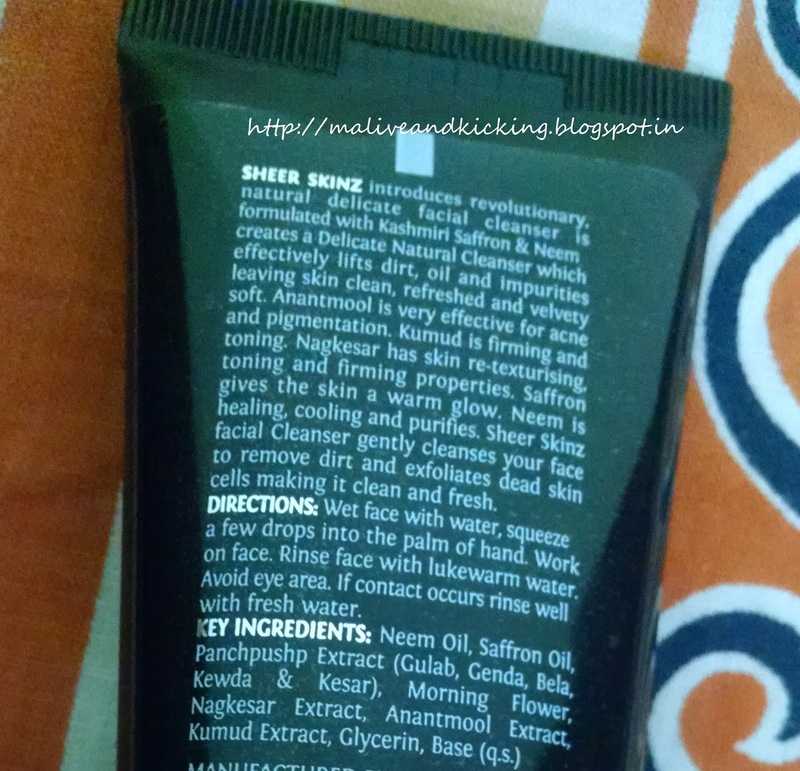 The Mashobra Wild Honey, Lemon & Rose Water cleanser behaved really gentle on my dry skin. Lemon extract, as a natural astringent gave instant brightening & toning effect to the skin. I had my apprehension of stripping away the moisture from my facial skin that generally happens with me on using lemon juice in some home remedies. But packed with Vitamin C and then loaded with moisturizing honey, a few drops of the cleanser effectively lifted all the dirt and skin impurities in every wash without aggravating skin dryness issue. 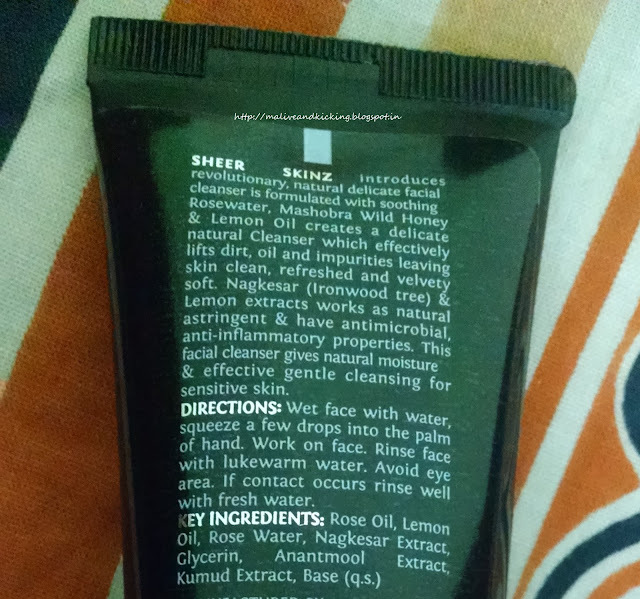 The rose water in the cleanser greatly contributed towards calming down my irritated skin. My overall experience says that this variant of the face cleanser can fit in the daily skin care regime of every person whatever skin type they have, specially dry skin type. The Kashmiri Saffron & Neem cleanser is one of the unusual mix of ingredients I tried ever. The claims of skin fairness using Saffron are well known. With high hopes in my heart, I used this cleanser, but didn't expect any overnight change in my skin tone honestly. The deep cleansing of the face wash surely imparted a momentary glow on my face. The infusion of neem in the cleanser helps removing toxins from skin surface and purifies the skin. The cleanser seems suitable for all skin type including sensitive and oily skin. Use of pure herbal ingredients. Cleanse, nourish and replenish moisture. Travel friendly and easy to use packaging. They have used nice ingredients but only mentioning key ingredients make me little doubtful. Great review.